The itinerary is being planned – and I am carrying DNA kits with me. What do Genevieve von Petzinger, Jean Manco and Alex Shoumatoff all have in common? Their stories about art, humanity and life all contributed to the itinerary of the trip. Along with these decades of the travels and research of Dai and me we take our hopefully Ancient DNA tour – with or without DNA. All the DNA here belogs to all of us who have any European ancestry – it is just how much – and when, and how, can you prove it. We hope one day SNPs will link the past to the future. We are taking Jean Manco’s work with us and I hope – hope – hope I will be able to locate some sequenced y-DNA and or mt-DNA for our families to visit a place or two. Of, course, over time, every haplogroup and so someone of the family of every ancestor would have lived everywhere. 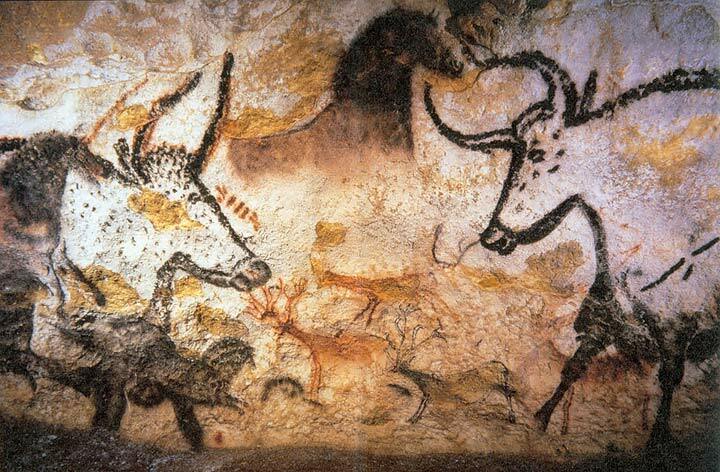 For the plan of which cave to see and why – we are also following the work of the one and only Ice-Age Art expert Genevieve von Petzinger. Preparing for this journey is far different from both our past decades of being posted as journalists overseas. But then we both were younger, and today we are going to, at least try to, make the trip prepared for the expected and unexpected. Years gone by the transformer/converters were enormous and I certainly carried my own with not just two different currents but some trip with multiple different sockets and currents and cycles. From eras gone past in our own lives to the multiple eras of our ancestors.